The UK needs a nationwide deposit return scheme (DRS) for plastic bottles and overhaul producer responsibility rules if it is to turn back the tide on plastic waste entering the environment, according to Parliament’s Environmental Audit Committee (EAC). In the first of two major reports looking at packaging in the UK following a major EAC inquiry, the select committee, which scrutinises the government’s action and policy on environmental matters, has called on the government to introduce a ‘well-designed’ deposit scheme, whereby an extra charge is applied to plastic bottles and can be reclaimed by consumers when they return it for recycling. It also calls for the government to make major changes to UK producer responsibility, to make packaging producers more financially responsible for their products, and to phase in a mandated minimum recycled plastic content in plastic bottles to stimulate the recycled plastics market, a target it says should be met by 2023. “We need action at individual, council, regional and national levels to turn back the plastic tide,” said Mary Creagh MP, Chair of the EAC, following the publication of the committee’s ‘Plastic Bottles: Turning Back the Plastic Tide’ report. The UN this month established plans for a taskforce on ocean waste pollution, which Executive United Nations Environment Programme Director Erik Solheim called “an ocean Armageddon”. Between 8-12 million tonnes of plastic waste are estimated to be entering our oceans every year. While the recycling rate of plastic bottles has increased from one per cent in 2001 to 57 per cent in 2016, it has not increased in the last five years, the EAC heard, meaning around 15 million plastic bottles are littered, sent to landfill or incinerated every day. Evaluating the pros and cons of a deposit return scheme as a solution to this has been one of the main aspects of this inquiry, during which Environment Secretary Michael Gove launched a public call for evidence on how reward and return schemes could work in England. Work is well underway to design such a system in Scotland, and Resource recently took an in-depth look at the potential of a DRS in the UK and whether the issues highlighted by detractors are fatal to the idea. It is certainly a divisive issue, with negative impacts on local authorities who already collect plastic at the kerbside and small businesses among the chief concerns. However, it is also backed by a number of environmental bodies, including the Green Alliance, which says that as 33 per cent of plastic litter comes from plastic bottles, and with global plastic bottle production forecast to increase by 20 per cent by 2021, a DRS would provide an effective solution for their capture, with the additional value of ensuring high quality material is collected - essential given the potential loss of China as an export destination for waste plastics. The BPF did, however, welcome the EAC's recognition that a government and industry-led initiative for on-the-go consumption of food and drinks may be necessary. Response to the ‘plastic crisis’ must be carried out across the supply chain, however, and the EAC has made recommendations for a major change in how producer responsibility for plastic packaging products works. Speaking to the committee, Lee Marshall, CEO of the Local Authority Recycling Advisory Committee (LARAC), explained that the UK’s producer responsibility system had “failed the Ronseal test”, passing the majority of the financial buck onto local authorities, who have to fund and carry out the collection of packaging themselves: “Producers are not responsible in terms of a cost point of view, providing perhaps only ten per cent [of funding for collections], while local authorities are funding the other 90 per cent”, said Marshall. The committee is therefore calling on the government to adopt a new producer responsibility compliance fee structure that rewards design for recyclability and increases charges on packaging that is difficult to recycle. The report urges the government to phase in a mandated minimum 50 per cent recycled plastic content in plastic bottles to stimulate and underwrite the recycled plastics market, and to ensure that the industry has an incentive to reuse plastics. This target should be reached by 2023 at the latest, it says. The difference between the UK’s packaging producer responsibility system, the cheapest in Europe, and other systems on the continent, which see producers take a more active role, is another oft-discussed topic. The EAC says that the government should introduce a varied compliance fee structure that reduces costs for easily recyclable, simple plastics and raises costs on packaging that is difficult to recycle. Finally, on a consumer level, better access to free water has been suggested as a low-cost intervention to reduce plastic waste. Refill networks, like the one in Bristol, highlight locations that water bottles can be filled, meaning that people on the move don’t need to buy single-use bottles of water or other drink. In the last 15 years, consumption of bottled water has doubled and water bottles now make up around half of all plastic bottles. 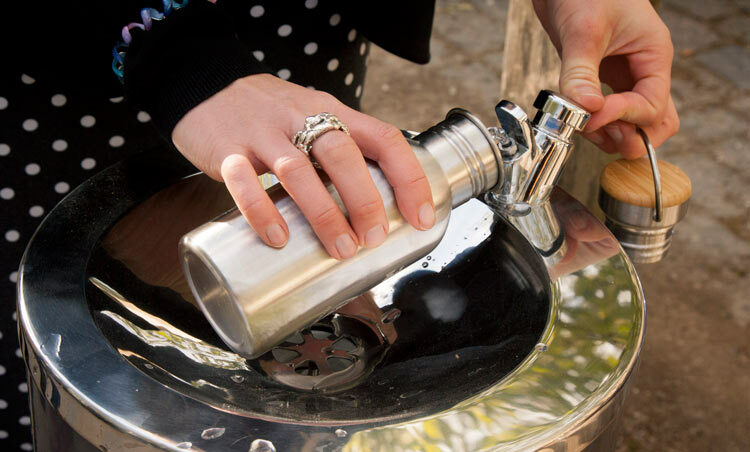 The EAC says that to reduce the 7.7 billion plastic water bottles used each year in the UK, a culture of carrying a reusable bottle should be embedded through the provision of public water fountains and access to free tap water. Summing up the wide-ranging report, Creagh said: “Urgent action is needed to protect our environment from the devastating effects of marine plastic pollution which, if it continues to rise at current rates, will outweigh fish by 2050. Our throwaway society uses 13 billion plastic bottles each year, around half of which are not recycled. 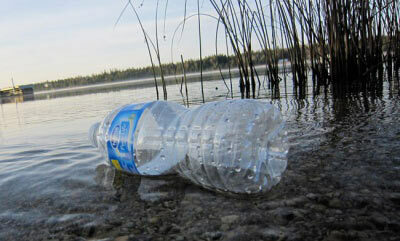 Plastic bottles make up a third of all plastic pollution in the sea, and are a growing litter problem on UK beaches. The full ‘Plastic Bottles: Turning Back the Plastic Tide’ can be read and downloaded on the Environmental Audit Committee’s website. Mary Creagh was last year’s winner of Resource’s Hot 100 poll of the biggest influencers in the waste and resources world. To vote in this year’s poll, visit the Hot 100 website. Parliament’s Environmental Audit Committee (EAC) is relaunching its predecessor’s investigation into the impact of disposable drinks packaging on the environment, after the original inquiry was disrupted by the general election. SUEZ, one of the country’s largest waste management companies, has backed a deposit-return scheme, after reports emerged this week that officials at the Defra had said it was ‘unlikely’ that such a system would be considered as part of a forthcoming national litter strategy. Clarissa Morawski, Managing Director of Reloop, makes the case for deposit return schemes in the fight against plastic waste. The growing campaign to introduce a deposit-return scheme for bottles in the UK has gained more momentum after beverage giant Coca-Cola announced its support for a Scottish trial after years of opposition. The Scottish Government has launched a public consultation on a deposit return scheme (DRS) for Scotland to gather stakeholder opinions on how such a scheme for Scotland should work. Introducing a deposit-return scheme for plastic bottles in the UK would damage the efficiency of council collections and require a new collection infrastructure to be introduced, according to LARAC.